When you are new to the COMSOL Multiphysics® simulation software, it is important to have access to resources that can help you get started with the software quickly. The installation and introduction manuals provide useful details, covering the basics of the modeling environment as well as some more advanced topics. 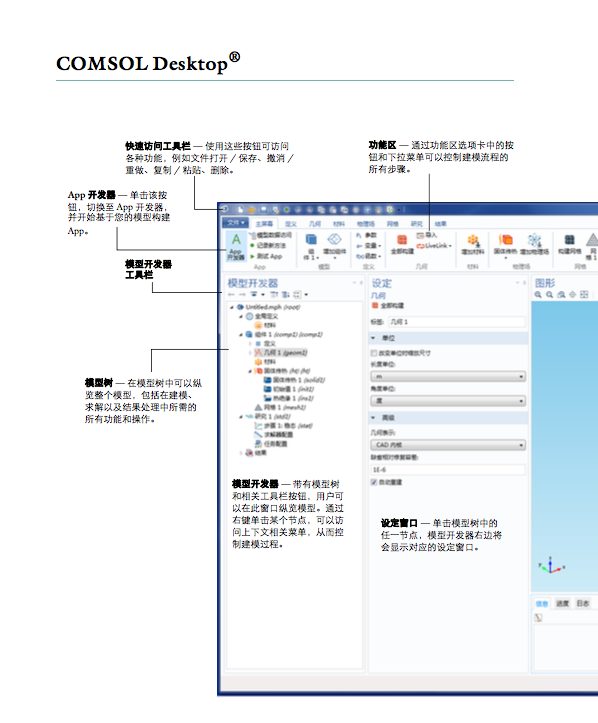 Starting with version 5.2, the Simplified Chinese installation option now offers access to a number of these manuals in versions that are translated into Chinese. COMSOL Multiphysics is a simulation platform that is designed with versatility and flexibility in mind. Our goal is to give users resources that enable them to better understand the range of features and functionality within the software, thus allowing them to maximize the benefits of its use. One of the ways that we fulfill this purpose is by offering a series of installation and introduction manuals to our users. Say you are a first-time software user, for instance. With the COMSOL Multiphysics Installation Guide, you can follow along step-by-step as we show you how to install the software based on your specific operating system, while also exploring the various license types and management tools. Once you’ve completed the installation process, you can turn your attention to the guide Introduction to COMSOL Multiphysics. 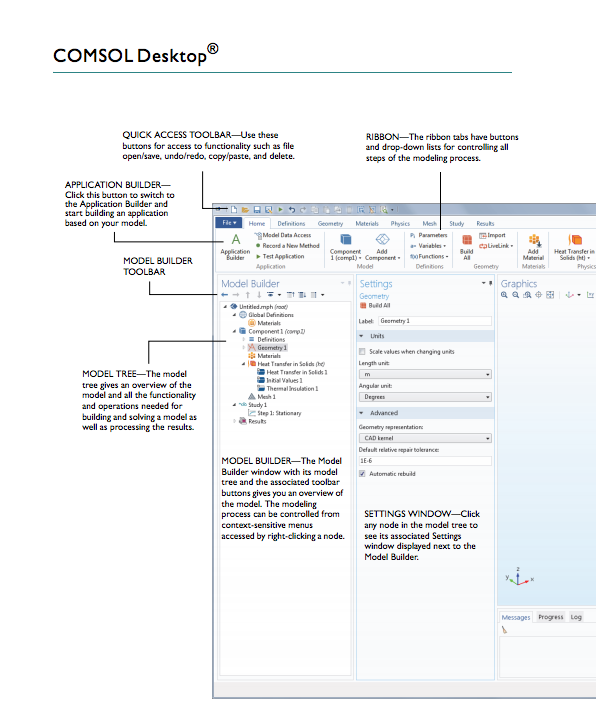 Here, you will be introduced to the look and feel of the COMSOL Desktop® environment, including examples of how to utilize the user interface as well as the Model Builder and Application Builder. These more basic points are complemented by discussions on advanced topics, which range from working with parameters and variables to adding meshes and physics to a model. 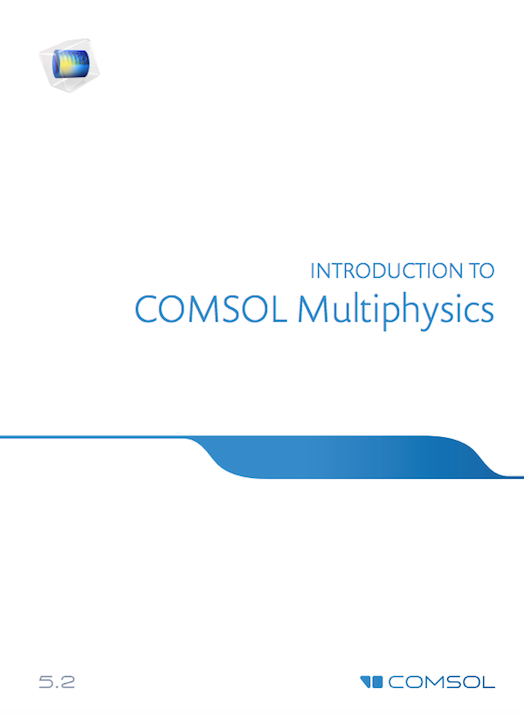 The Introduction to COMSOL Multiphysics manual. In an alternate scenario, let’s say you have decided to learn how to use a particular add-on product, such as the AC/DC Module or a LiveLink™ interfacing tool. Good news: Introduction manuals are available for these products as well, allowing you to get a jump start on your modeling processes. Each of the manuals is designed to explain applicable modeling procedures and physics interfaces as well as highlight some relevant examples from the Application Library. Here, we’ll take a look at a new feature that is extending the reach of these resources by generating versions that are translated in Chinese. The new feature that we are referring to is the Simplified Chinese language option. You now have the ability to select this option when installing the latest version of COMSOL Multiphysics. Doing so will give you access to a set of installation and introduction manuals that are translated into Chinese. In addition, the same set of translated manuals can be downloaded from the Resource Gallery. In total, there are 39 translated manuals that are provided to users upon selecting the Simplified Chinese option. This list includes the COMSOL Multiphysics Installation Guide and the Introduction to COMSOL Multiphysics manual referenced above, as well as introduction manuals for each of the add-on products. 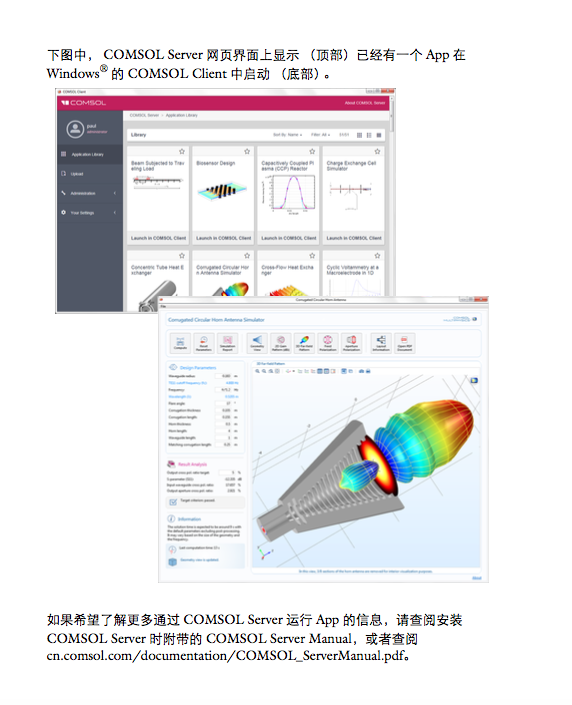 Users also have access to translated COMSOL Server™ product and Application Builder introduction manuals, as well as a postprocessing and visualization handbook. 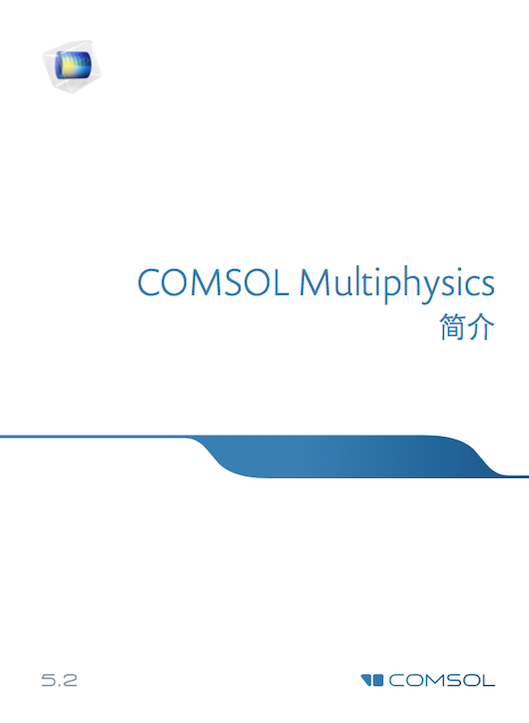 The Chinese version of the Introduction to COMSOL Multiphysics manual. 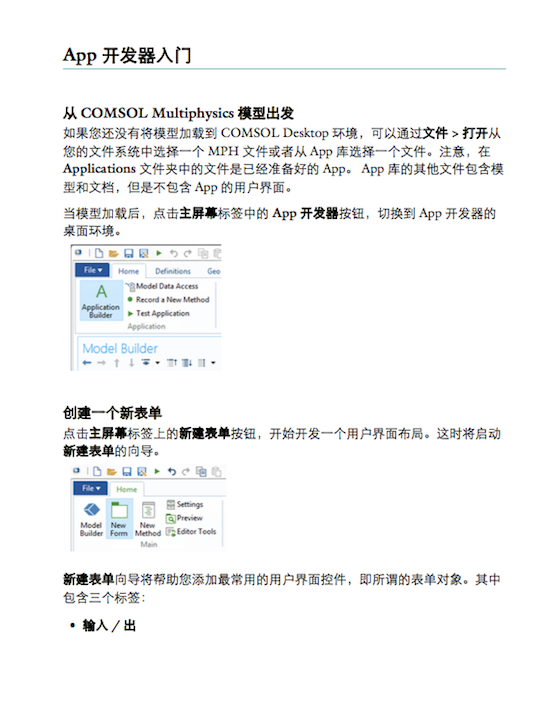 The Chinese version of the Introduction to Application Builder manual. In the future, there are plans to continue updating the documents that are already available, while also translating additional manuals. 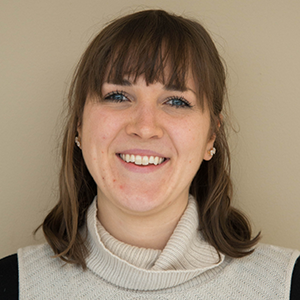 Our hope is that by implementing these resources into the product, we can better serve the needs of our users and help them fully embrace the features and functionality of COMSOL Multiphysics. Download the latest version of COMSOL Multiphysics. Did you know that we also translate a number of our blog posts into Chinese? Click here to start reading today.